Essure is a new method of permanent birth control developed by Conceptus Incorporated. Because it is intended to permanently prevent pregnancy, it is similar to other birth control procedures, such as vasectomy or tubal ligation ("having your tubes tied"). All of these procedures are intended to prevent pregnancy for the rest of your life. The Essure procedure is a non-incisional surgical procedure that involves placing a small, flexible device called a micro-insert into each of your fallopian tubes (the tubes your eggs travel through from your ovaries to your uterus). The micro-inserts are made from polyester fibers and metals (nickel-titanium and stainless steel), materials that have been studied and used in the heart and other parts of the human body for many years. 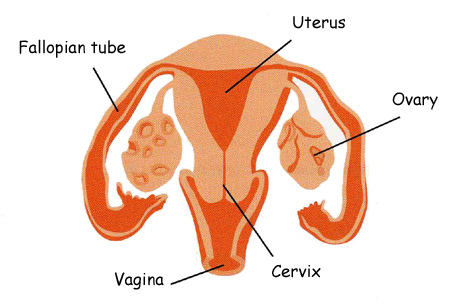 Once the micro-inserts are in place, body tissue grows into the micro-inserts, blocking the fallopian tubes. Blocking the tubes is intended to prevent sperm from reaching and fertilizing the egg, thereby preventing pregnancy. It is believed that the tissue response to the micro-insert that created the blockage of your tubes will last for the rest of your reproductive life, but data regarding use of Essure beyond 3 years are not available. Studies are ongoing to obtain these data. Your doctor will be able to explain the procedure to you in more detail. What Are The Benefits Of Essure®? * Pamphlet available in our office.